I participated in a conversation about the longterm sustainability of federal entitlement programs with Curtis Dubay at Mizzou Law today. 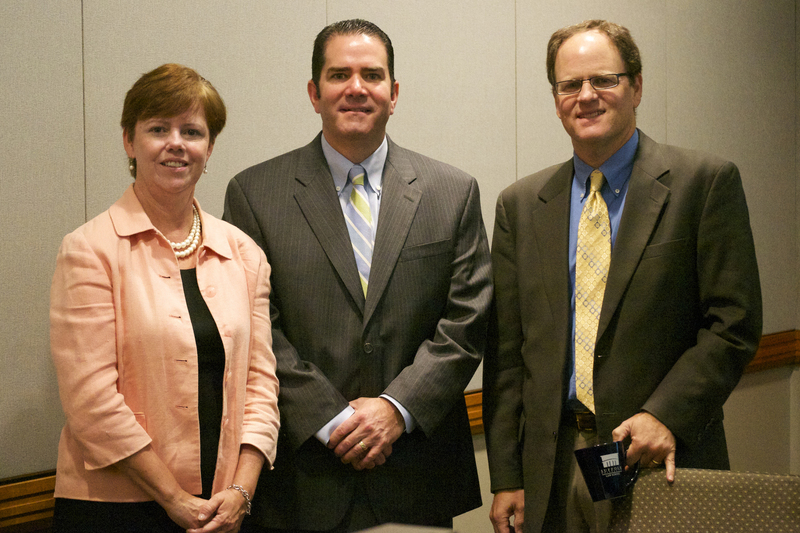 The conversation was sponsored by the Mizzou Law’s chapter of the Federalist Society and moderated by 3L Hannah Mudd. This course provides students with a framework for making decisions about the policies that governments should adopt to respond to important public problems. It takes an interdisciplinary perspective and argues that decision-makers manage four kinds of risk: litigation risk, political risk, policy risk and implementation risk. Students are introduced to techniques for identifying and minimizing such risks, and apply these techniques to real-world policy problems. Guest speakers also provide a perspective on the challenges of policy choice. 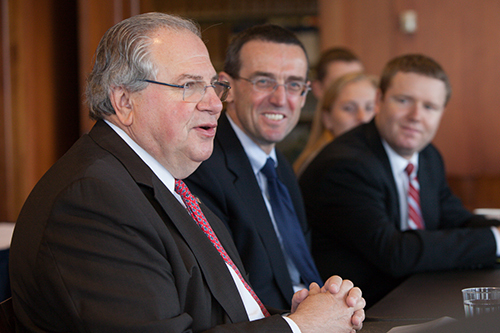 Massachusetts House Speaker Robert DeLeo talked about his work to my Law and Public Policy class this morning. It was a great conversation. 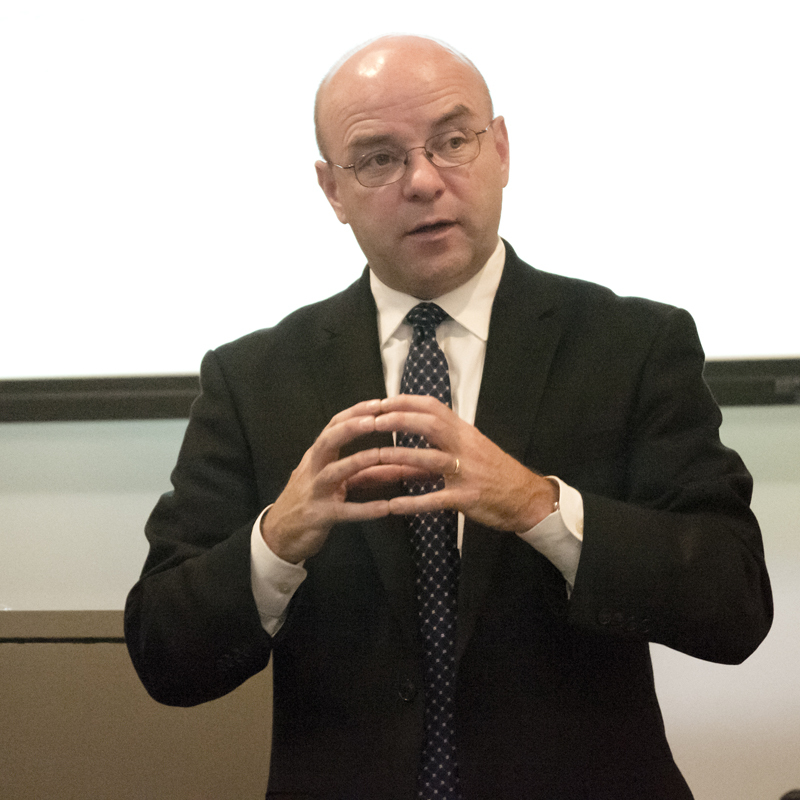 David Paleologos, a polling specialist and Director of Suffolk University’s Political Research Center, talked to Law and Public Policy today. Here’s a story about one of his recent polls on the New Hampshire primary. 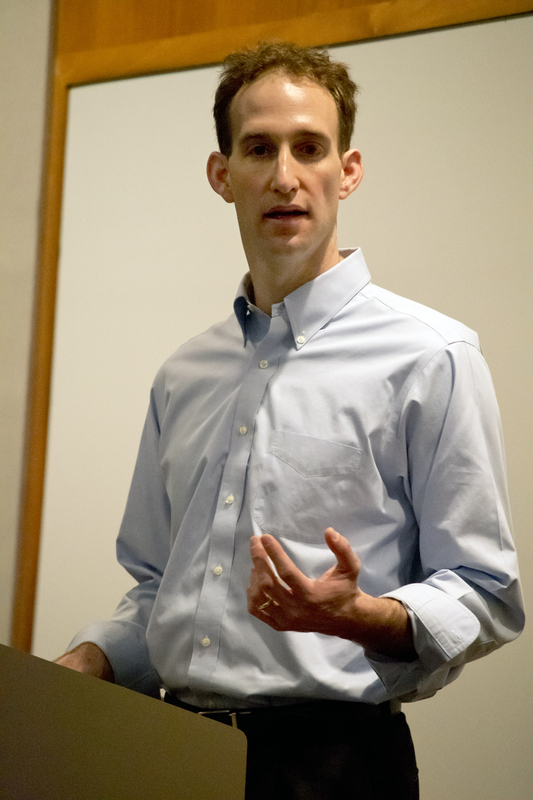 Sam Tyler, President of the Boston Municipal Research Bureau, spoke about its role in contributing to policy discussions in yesterday’s Law and Public Policy class. Ben Forman, Research Director for MassInc, talked to my Law and Public Policy class today about the Gateway Cities program. 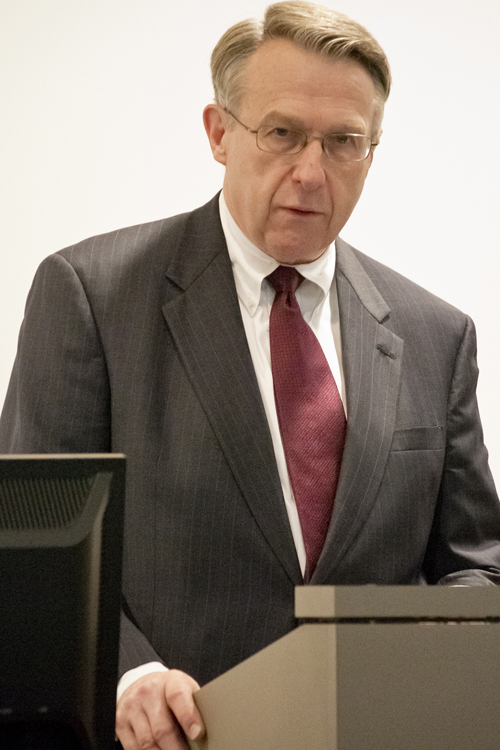 Jeff Mullan, former Secretary of the MA Department of Transportation, talked about the challenges of merging state agencies in today’s Law and Public Policy class.